Get your flat caps, Nora Batty tights and whippets out (not a euphemism!). 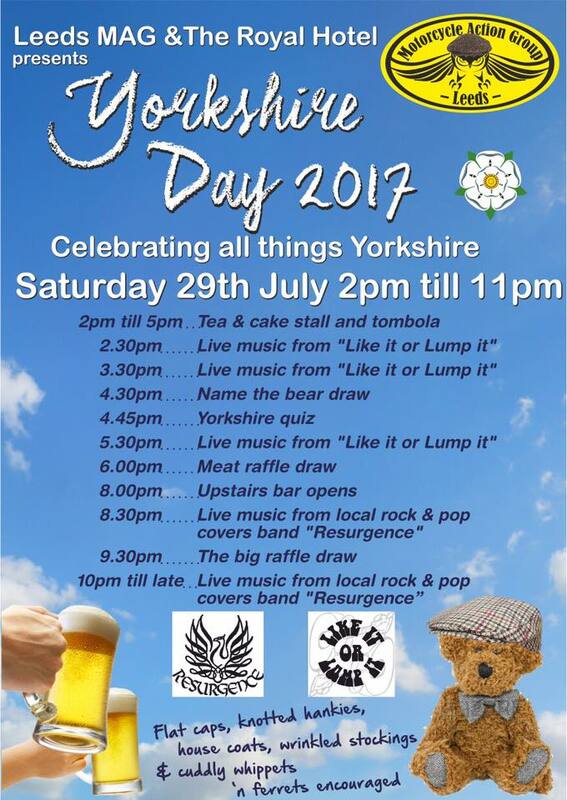 Our next social event will be a celebration of Yorkshire Day on the 29th of July at the Royal Hotel in Pudsey. We’ve got a busy day ahead with lots going on. All proceeds will be split between MAG and the Yorkshire Air Ambulance. Be there or be Lancastrian! Previous PostLeeds and Bradford Motorcycle Theft FiguresNext PostTickets for An Evening with Elspeth now available!